Britain is becoming an increasingly faithless society, according to a new survey that has found 53% of Britons now describe themselves as having no religion. The proportion is the highest ever, up from 48% in 2015 and 31% in 1983 when the British Social Attitudes survey was begun by the independent National Centre for Social Research. The trend is evident across all age groups but is particularly marked among young people, with 71% of 18-to 24-year-olds surveyed in 2016 saying they had no religion, up from 62% the previous year. The majority of older people still have some faith, with only four in ten of those aged 65 to 74 describing themselves as having no religion, and only 27% of those aged 75 and over. "This increase follows the long-term trend of more and more of us not being religious," said Roger Harding, head of public attitudes at the research centre. "The differences by age are stark and with so many younger people not having a religion it's hard to see this change abating any time soon. "The falls in those belonging to the Church of England are the most notable, but these figures should cause all religious leaders to pause for thought." 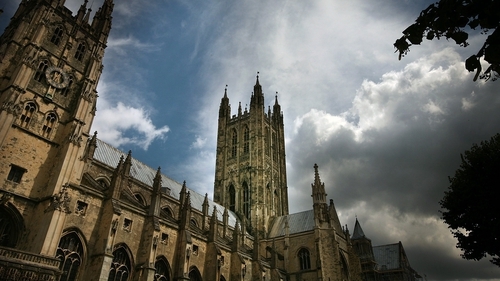 Affiliation to the Church of England has declined markedly in recent years, with just 15% of Britons now considering themselves members, half the proportion of 2000. However, the proportion of Catholics has remained relatively stable, at around one in ten. 6% of Britons said they follow a non-Christian faith, down from 8% in the previous year but up from 2% in 1983. The survey did not go into more detail. The 2016 survey involved interviews with 2,942 people, who were asked: "Do you regard yourself as belonging to any particular religion. If yes, which?"